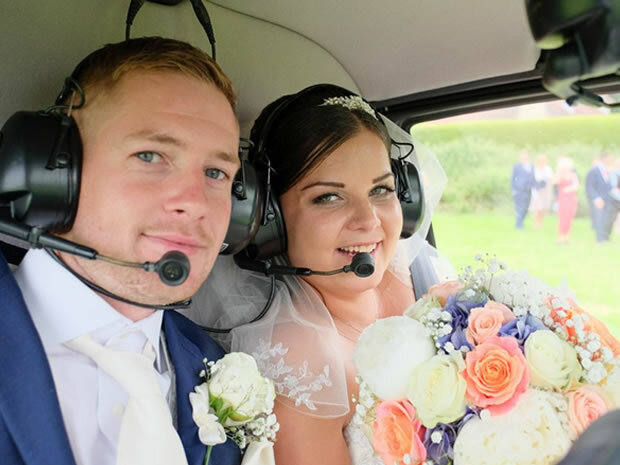 Lucy and David Potter opted for a relaxing and happy celebration at Stonehouse Court, with a helicopter ride, canal boat, and a fun and meaningful cake topper. 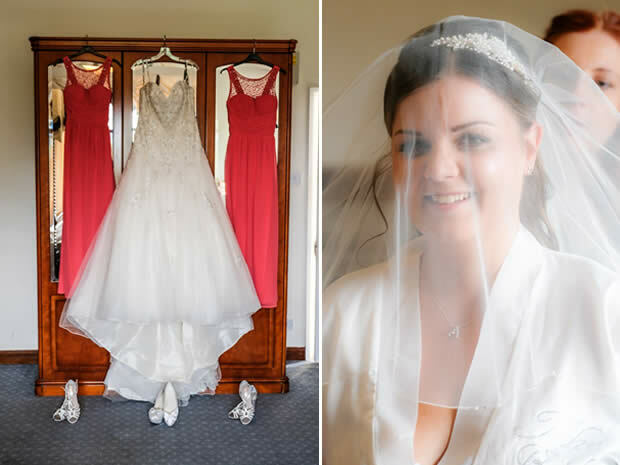 Enjoy inspiration galore from a Lucy and David’s relaxed Real Wedding at Stonehouse Court. 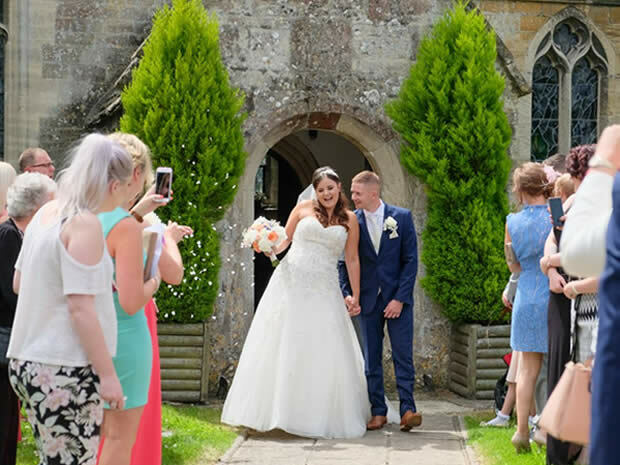 The happy couple: Lucy Potter, 27, an accountant, and David Potter, 30, a carpenter who live in Eastington, Stroud. Transport: Friends provided a Range Rover for the groom and his party, I used a Jaguar from the photographer. 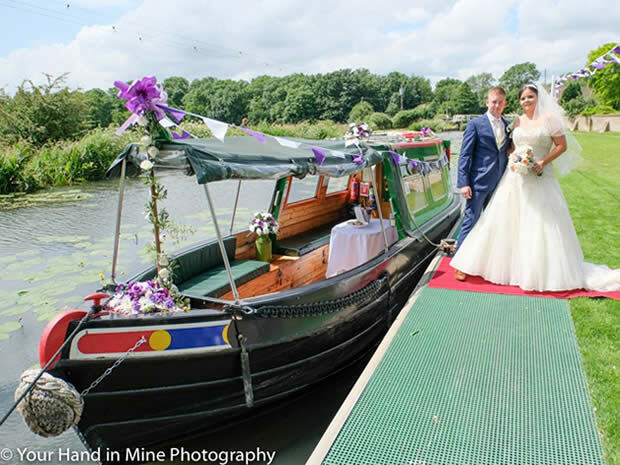 We also had a helicopter from the church to the venue and a canal boat at the venue. 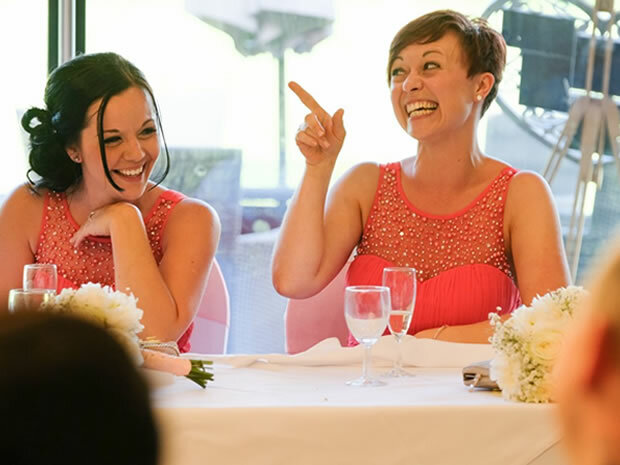 ‘Dave and I met in a local nightclub in Stroud, in 2007, through mutual friends,’ says Lucy. Dave proposed to me in front on his family on Christmas day in 2012. It took two years to the day to plan. 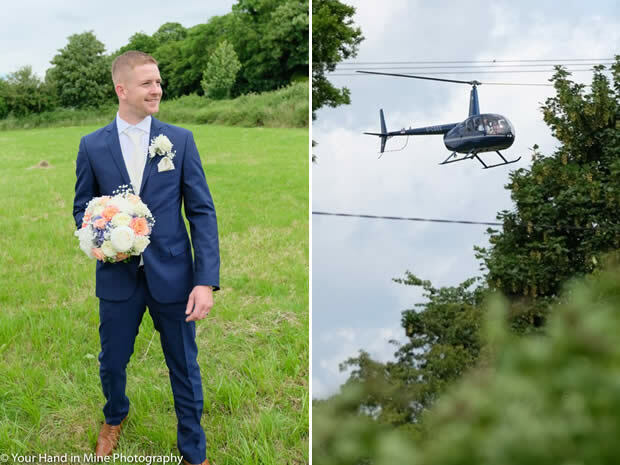 ‘I chose the venue as it was local to us and the majority of all of our guests, it was able to accommodate the landing of the helicopter, and the grounds are stunning’, said Lucy. None, other than to be a relaxed occasion for all to enjoy. 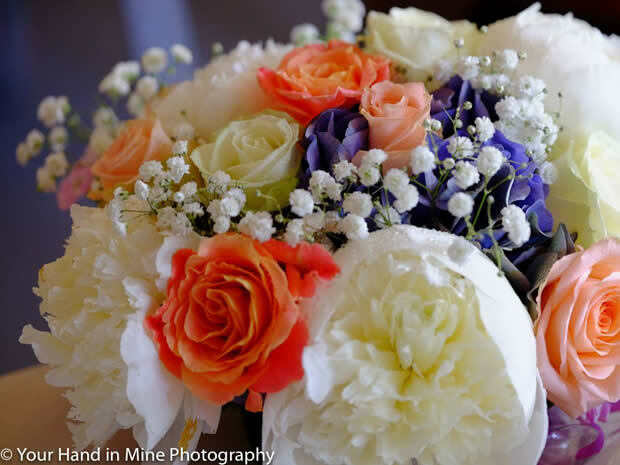 Stephen’s website had the most stunning examples of his work and he really made us feel comfortable and at ease in the initial meeting, so we knew he would be perfect for our day. 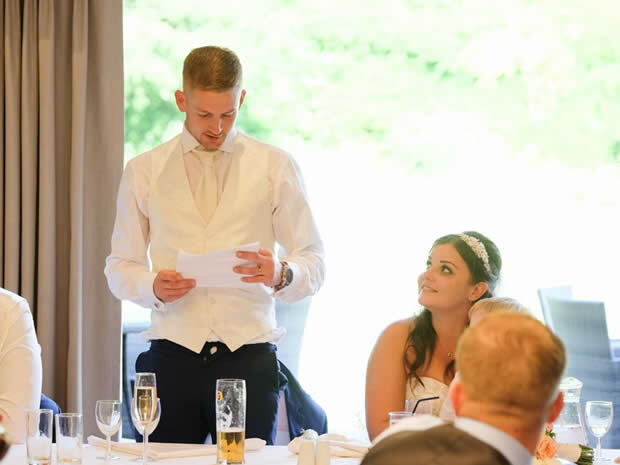 ‘I decided to organise the wedding myself due to knowing what I wanted and my strengths being attention to detail and organising,’ said Lucy. I made the wooden, gold glittered table numbers myself. It was a champagne coloured Mon Cheri, David Tutera designer dress. A navy blue suit hired from Moss Bros, with a gold handkerchief and tie to match my dress and veil. Brown shoes from Next, and an Armani watch given to him on the day from me. 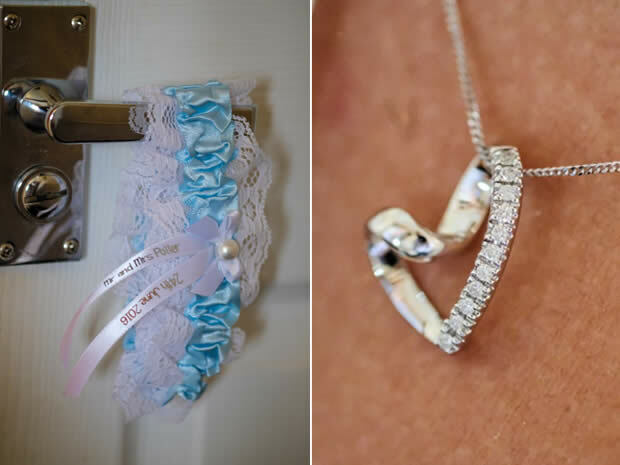 My dad gave me a blue garter with our wedding date and my married name on. 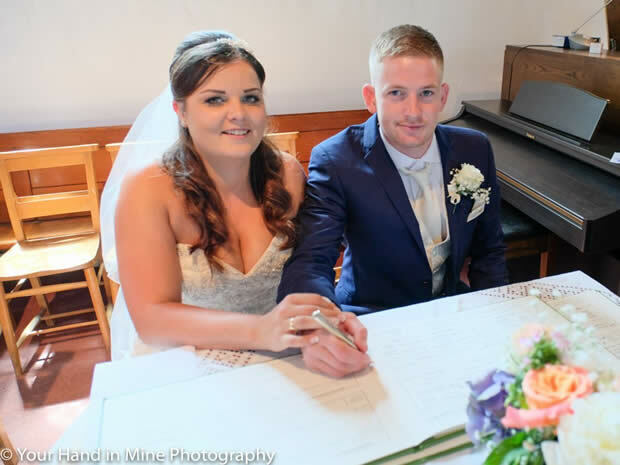 My something old and borrowed was my grandad’s signet ring as he is an important person in my life and it belonged to my great grandad prior; and my something new was a diamond heart necklace from Dave. 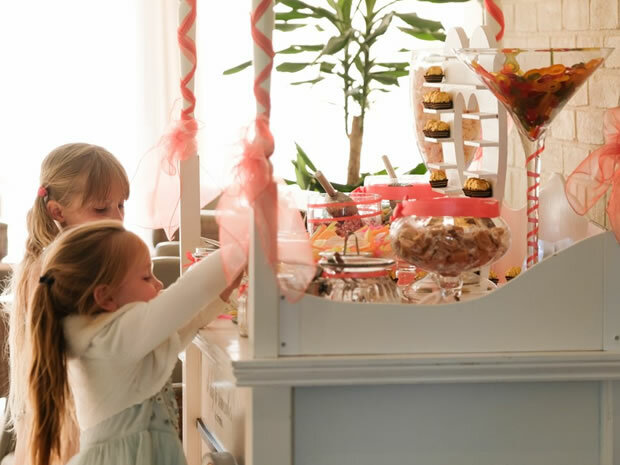 Did you incorporate any other special family details or heirlooms, for example? 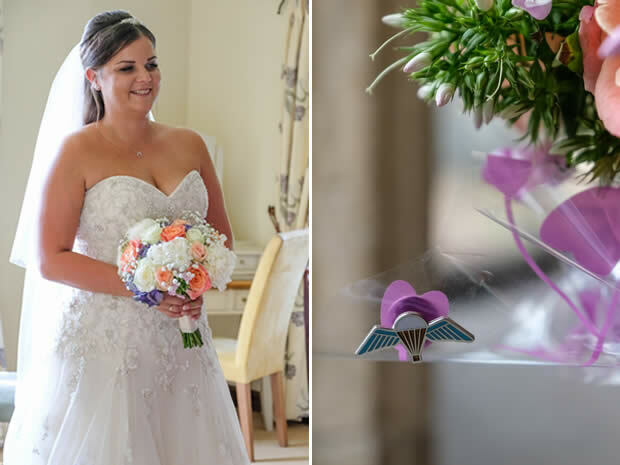 I included my dad’s parachuting wings on my bouquet. Caesar Salad with garlic croutons and parmesan cheese for starter; mains included stuffed chicken breast wrapped in bacon with Dauphinoise potatoes, green beans and roasting Jus; while I had the vegetarian option of roasted vegetables, garlic and stilton wellington. For dessert we had strawberries and cream with mini chocolate cups and honeycomb pieces, tea and coffee. One side was chocolate with strawberries to look like a mud slide, and half in the style of my wedding dress. It was a three tiered cake. The top tier was lemon, the middle tier was salted caramel, and the bottom tier was polystyrene as we didn’t want it to go to waste… and it certainly didn’t as people wanted more! 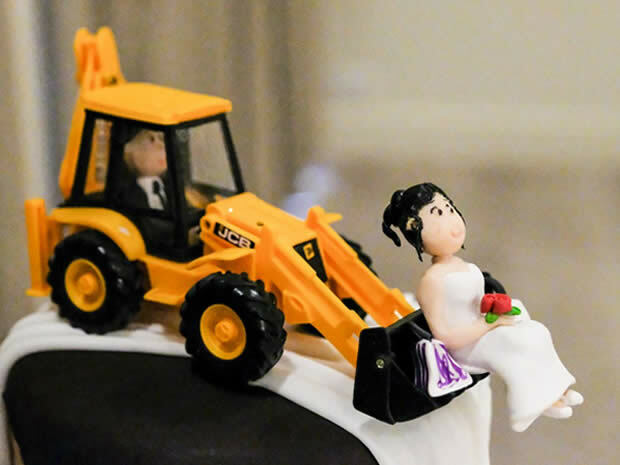 On top of the cake there was a digger with handmade models resembling us. Dave was inside the digger and I was in my wedding dress with shopping bags sat in the diggers bucket. The digger was chosen to represent Dave’s dad, who passed away 10 years ago. ‘Wherever you will go’ cover by Charlene Soraia. 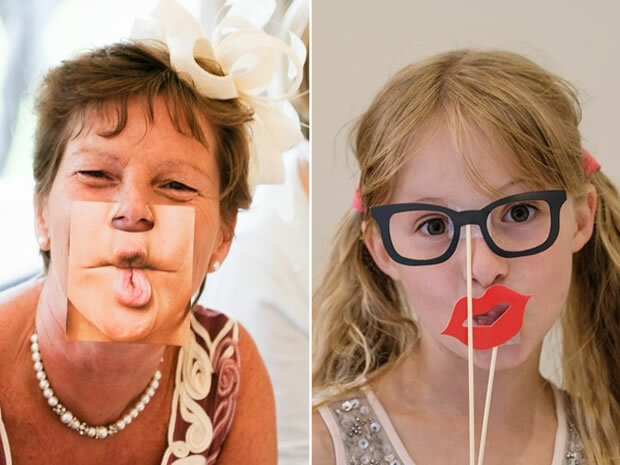 A company we paid for closed their business without notifying the customers and we were left without a photo booth or our money, close to the wedding. 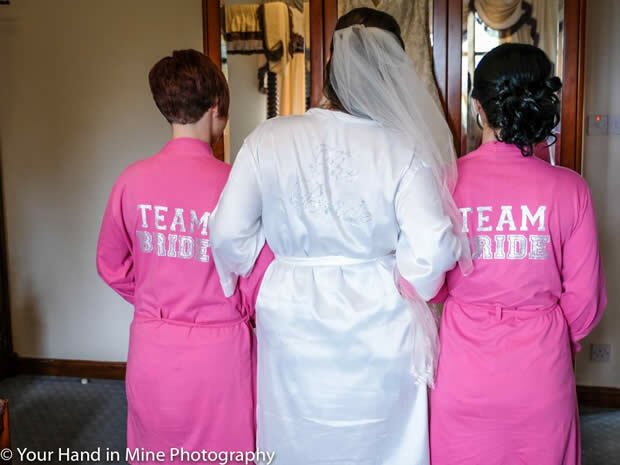 We accepted the loss, and as upset as we were decided not to replace it, but on the morning of the wedding, we were surprised by Lucy’s bridesmaids and a few close friends who had generously contributed and organised another company to provide a photo booth for the evening! 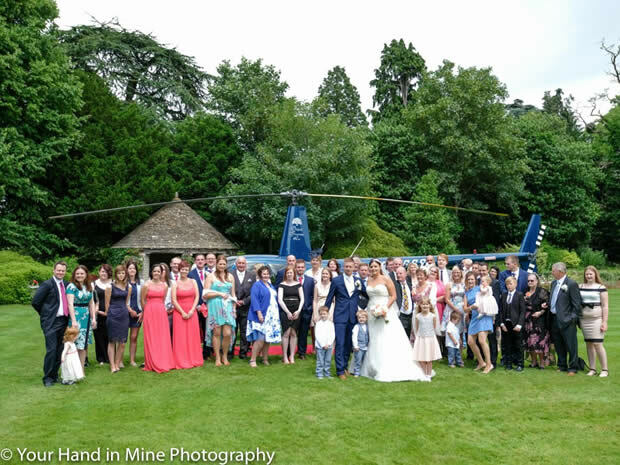 The team at Stonehouse Court were so attentive and couldn’t do enough for us and all our guests. We requested that two specific members of the team be put forward for the hotel’s staff award evening at the end of the year, due to their impressive hosting skills. Leave plenty of time, don’t rush and always try to negotiate. 10 days in St Lucia, all paid for by our lovely friends and family! 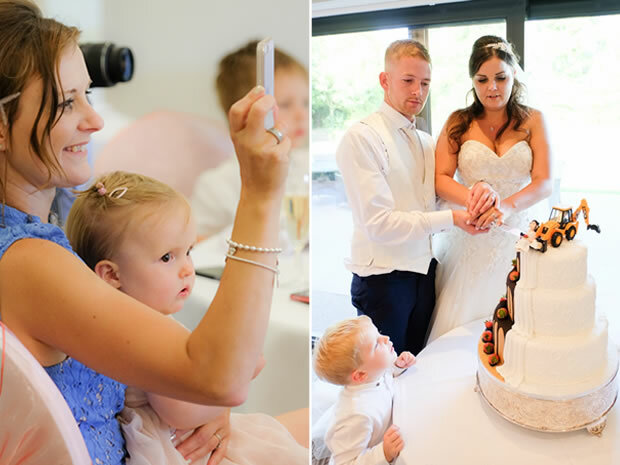 If Lucy and David’s bright and beautiful wedding has inspired you to host your big day the manor house hotel, see Stonehouse Court, and for further details about the couple's photographer, see Your Hand in Mine.